Is the planetarium open today? We do not have daily opening hours where guests may visit on a drop-in basis. To visit the planetarium, you would need to come for one of our pre-scheduled public shows or book the whole facility. See the New Home Astronomy page for details. Where is the planetarium located? The planetarium is located at 50 St. George St, on the downtown campus of the University of Toronto. The building is called the Astronomy Building (AB on campus maps). Please see the main planetarium page for a map and directions. If you enter the building from St. George St., take the stairs immediately to your right, down into the basement. The planetarium will be directly ahead of you when you exit the stairs. If your visit is taking place on a weekend or after 6:00 p.m. on a weekday, please meet your presenter at the Russell St. entrance. He or she will guide you to the planetarium. For more information about our location, parking, and transit, please see the Contact page. Please note that we are not the McLaughlin Planetarium. Although that building still stands, it has not offered shows to the public since 1995. Our general planetarium shows are intended for children eight years old and older. We do not recommend them for children younger than this age. We do run shows for younger children on an occasional basis. To stay informed about the availability of these shows, please consider signing up for our mailing list. How big is the planetarium? Our planetarium is a small facility, with a capacity of 25 people. It is housed in a Geodome Ellumenati Theater, which is an inflatable dome with a walk-in entry (the walls of the dome are pressurized, not the dome interior itself). While the dome is small, it is equipped with a sophisticated 4K projector and the Uniview visualization suite. What we may lack in the size of our theatre, we make up for in the expertise and warmth of our show presenters, all of whom are trained astronomers. For group bookings of the entire dome, a standard 50-minute planetarium show between the hours of 9:00 a.m. and 5:00 p.m. on a weekday costs $160 for up to 25 guests, or $220 if you bring 25-50 people. Shows in the evenings or on weekends are $185 for up to 25 people, and $270 for 25-50 people. Prices include HST. For monthly public shows, tickets cost $10 per person (all ages). Any tickets not sold online will be available at the door. For group bookings of the entire dome, we accept cash and cheques. Cheques should be made out to “University of Toronto.” Payment must be made at the time of the show. For monthly public shows with individual admission, tickets can be purchased online prior to each show. To purchase, see the links on the page for each public show. Tickets not sold online prior to the show will be available at the door, where we accept cash payments only. Think of the planetarium as an interactive movie theatre where the screen is a dome on which we can project any part of the cosmos. During most shows, the presenter begins with a tour of the night sky as it will look on the night of your show. The presenter will point out interesting features, such as constellations, planets and transient events (comets, asteroids, etc.) which will be visible that evening. The presenter will then take you away from the Earth, on a tour of the cosmos. The path you take will depend on your interests, but usually includes stops in our Solar System, a view of our Milky Way Galaxy from outside, and a trip to the farthest reaches of space. Depending on your interests, you might also visit the centre of our galaxy, planets orbiting other stars, nebulae, other galaxies, and more. Can we look through telescopes? Observatory and telescope access are not available for regularly scheduled public shows. These take place entirely in the planetarium. For group bookings of the entire dome, an optional observatory visit can be selected at the time you book your show. If this option is selected, your group will spend about 25 minutes in the planetarium and 25 minutes at our observatory. For groups larger than 25 people, all bookings include an observatory visit. Note that in the event inclement weather, you can spend the entire 50 minutes in the planetarium. You can still visit the observatory, but you won’t be able to use the telescopes. What can we see through the telescopes? This will depend on the date of your visit and the weather. If you visit during daylight hours, we can show you the Sun through special solar telescopes. If you come during the evening, the selection of sights will vary from month to month, but might include planets (Mars, Jupiter, Saturn, and very occasionally Venus), mountains and craters on the Moon, double stars, and star clusters. 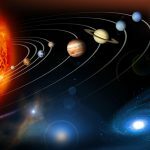 Is the planetarium wheelchair accessible? Unfortunately, no. The dome itself is accessible, but there is a flight of stairs between the planetarium and street level. There is no ramp or chair lift. For patrons who are unable to access the planetarium for this reason, we would be happy to send one of our speakers to give a talk at a location of your choice. We apologize for the inaccessibility of our planetarium. We are working on building a new planetarium in a fully accessible building. Is there space to have a party, eat lunch, or serve food? Food and drink are not permitted in the planetarium itself. However, for school and community groups who wish to eat lunch on campus, there are some locations you might be able to go on campus to eat. Here is the list of campus eateries (Note that you need to click the “Food” menu item on the left side of that page to show the restaurants). The closest cafeteria to the planetarium is Sid’s Cafe, in Sidney Smith Hall, just one block north of the planetarium. What else can we do on the U of T campus while we’re there? The planetarium is also located about a 15-minute walk from both the Royal Ontario Museum and the Art Gallery of Ontario (in opposite directions). Can the planetarium host corporate events, weddings, or musical performances? In principle, yes, we can host these events. We have hosted many events of these types in the past. However, many people requesting these services are confusing us with the much larger McLaughlin Planetarium, which closed in 1995. If you are considering hosting an event at our planetarium, we strongly recommend that you attend a public show to familiarize yourself with the venue. Our dome is small and intimate, with a capacity of 25 people. There are no ancillary spaces in which to serve food. So, while special use can be made of the facility, there are limitations on the sizes and types of events that we can support. Can I book the whole dome and re-sell tickets? We operate the planetarium on a not-for-profit basis, to provide an accessible way for everyone to learn about astronomy. We reserve the right to refuse service to clients who re-sell access to our shows at a mark-up, unless we have given consent beforehand. If you are interested in purchasing shows to re-sell to your clients or to the general public, please contact us at planetarium@universe.utoronto.ca before making a booking to discuss the rates for this service. Is UofT building a new planetarium? In short, yes! The University of Toronto intends to replace the existing Astronomy Building and its temporary planetarium with a new building containing a larger, permanent planetarium. 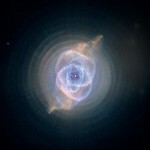 Find out more on the New Home for Astronomy page of the Department of Astronomy & Astrophysics.